Did you know, according to wikipedia, Boulder City, NV is one of only two cities in Nevada that prohibit gambling? Being a resident of the area, you deserve an alternative to the busy gambling that is found in nearby Las Vegas, NV. At Celestial Solar Pool Heating of Boulder City, we strive to provide the best solar panels for residents who want to triple their comfortable swim season with solar pool heating. Having a swimming pool should lead to relaxing, but unfortunately that is not always the case. What if the temperature of the pool is too cold? Celestial's solar panels are designed specifically to gather the most energy from the sun, to help heat your swimming pool, thus reducing your utilities and triple your comfortable swim season! When you choose to purchase a solar pool heating system, and solar panels from Celestial Solar Pool Heating of Boulder City, you can rest assured you will have more pool time, which leads to more family time and relaxation that you are looking for. Solar pool heating from Celestial costs nothing to run, so you will be saving on your utility bill by gathering FREE energy from the sun. Our system will help give you more time in your swimming pool, and triple your comfortable swim season. The benefits of solar heating for your pool from Celestial of Boulder City are out-of-this-world. 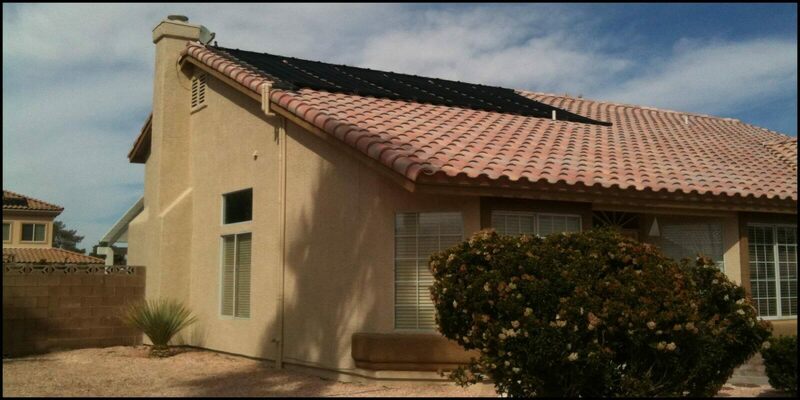 Not to mention, when you choose to install our system, we can work with any space at your Boulder City home for a custom solar pool heating system that fits your needs and the space your home provides. Are you ready to triple your comfortable swim season? Call on the experts at Celestial Solar Pool Heating of Boulder City today to learn more about our top-of-the-line solar pool heating systems. We are happy to help you benefit from FREE energy from the sun and triple your comfortable swim season. Schedule your free in-home estimate today!